Paul is a recognised industry figure, panellist and presenter at various domestic & international conferences. He is widely regarded as an expert in MaaS/ Big Data solutions and managing business to reach the peak of their potential. He has had a diverse career, having had senior board roles within retail, OEM, Leasing, Fleet Management, fuel, mobility and technology businesses. He has dedicated the last 15 years to the corporate fleet market. His current roles support training and development of the next generation of leaders within our industry (ICFM), while his role at TMC pushes the global market boundaries within the mobility and big data sector. Stephen has over 30 years’ experience working with world class premium brands in the automotive sector. Stephen is commercial director at Global (Autocare), one of the UK’s largest privately owned rental companies, providing a comprehensive and market leading range of bespoke fleet management products and services, including daily rental, contract hire, accident management, de-fleet, maintenance and service, along with storage and logistics. He moved to Global (Autocare) in January 2017, to manage all commercial activities of the business and lead their strategic development. He also plays a key role in developing and implementing an innovative growth focused commercial strategy, focusing also on new products and services and emerging markets. This includes identifying new opportunities, developing new client relationships, ensuring a consistent trajectory of growth. Previous to joining Global (Autocare) he had an enviable career with BMW for over thirty year, where he held many senor leadership and commercial roles for the Group. 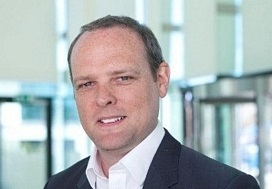 Stephen most recently was Head of BMW Product Strategy and Market Planning for the UK. In this role he was responsible for BMW, BMW M BMW Individual and BMWi Product and Pricing Strategy, Product Management and Marketing, and also the UK Market Planning function. He was responsible for leading an unprecedented number of new product launches securing a market leading position and also focussed on new product developments based on trends and expectations for the future. 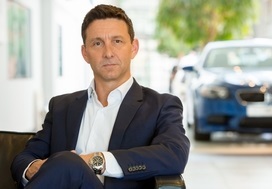 Over the four years as Head of Fleet, he held overall responsibility for the delivery of all fleet, business, leasing, rental, motability and public sector sales and marketing activities for BMW, MINI and BMWi, leading to successive recognition as the leading fleet manufacturer. He also spent five years as UK Head of Learning and Development at the BMW Group Academy, where his passion for people development advanced launching the state-of-the-art BMW training facility and achieved worldwide recognition for the training. Stephen, a Member (MICFM) of the ICFM, was made a Board Member in 2011and is a Fellow of the Institute of the Motor Industry (FIMI). 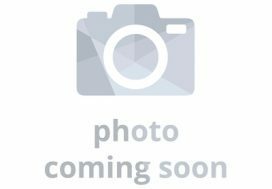 Commencing in 1963 with Fiat Auto UK, Peter has enjoyed a successful career in the fleet motor industry, encompassing almost every aspect of customer service and technical support. Fleet management of a large blue chip fleet operation and senior management positions followed management roles within the franchised motor trade with major contract hire, leasing and accident management companies. In 2003, Peter joined Inchcape Fleet Solutions as head of maintenance & accident management, progressing to head of operations in 2008 and commercial manager in 2011. In 2014, after 11 years at Inchcape, Peter took on a new dual-role challenge as a founder director of Opus-Autoroute Ltd and commercial director at LA Coachworks Ltd. These roles encompass all aspects of accident management and vehicle damage repair, areas for which Peter has a wealth of experience. Peter has been a member of the ICFM since 1993, joined the Steering Committee in 1996, and was invited to become a full Board Member in 1997. 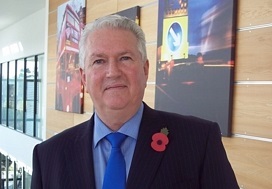 Peter was appointed Director and Company Secretary of the Institute in April 1999 and became Treasurer in 2009. 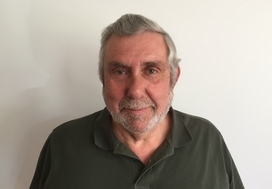 Peter is also regarded as one of the ICFM’s strongest lead tutors and regularly provides training support for members at both Certificate and Diploma level. 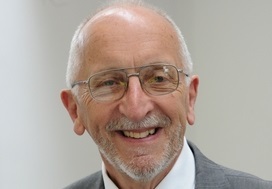 In 2011 Peter was inducted as an Honorary Fellow of the ICFM. Marie, car fleet controller at British Car Auctions, a Member (MICFM) of the ICFM, was named ‘Fleet Manager of the Year – 101 – 400 vehicles’ in the 2008 and 2009 Fleet News Awards, and also received the Fleet World ‘Fleet Manager of the Year Award’ in 2009. She joined the Institute in September 1996 and holds a Diploma in Car Fleet Management, having previously attained an Introductory Certificate and Certificate in Car Fleet Management. She attained her Diploma in Car Fleet Management with distinction in 2009. Marie has been employed by British Car Auctions for the past nineteen years, working for the first ten years in customer services before being appointed car fleet controller in January 2004. 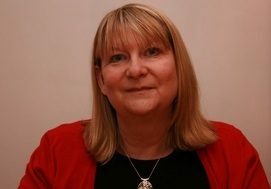 Marie was appointed Company Secretary for the ICFM in the summer of 2011. David Brown has worked in the car industry throughout his professional career, starting his working life as an apprentice at a VW dealership and entering the fleet industry in 1980. Currently Head of Business Development at Applied Driving Techniques, David was previously with Leasedrive Group, and prior to that Inchcape Fleet Solutions focusing on the public and fund-raising sectors. David also held positions at PHH (now Arval), as well as a spell for himself as a broker. David is a broadly experienced customer service provider, skilled in delivering long-term, high quality customer support to a demanding customer base. David has been an ICFM member since December 2005. Steve’s portfolio includes extensive experience in line and functional management, specialist staff, management and organisational development in a variety of roles in manufacturing, service and public sector organisations and in both corporate-led and devolved structures. His career started with twelve years in the manufacturing sector working in engineering production and design before progressing to production management and HR. He then worked for Lex Service PLC for thirteen years in HR, management training, centre management and organisation development roles. 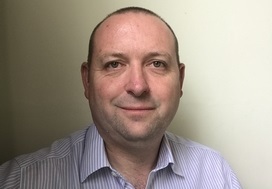 A qualified trainer and assessor, he has run his own consultancy business since 1991 specialising in individual, team and organisation development and management development in particular. He was commissioned by the ICFM Board in 1992 to design and deliver a multi-tier education and training syllabus. His work on behalf of the Institute now includes continuous development of the syllabus content and scope, training design, delivery and competence assessment. In recognition of Steve`s ongoing commitment to the Institute, he was invited to join the Board in September 2007. He is also a full member of the Chartered Institute of Personnel and Development and has been responsible for professional trainer development on their behalf. Steve is married with two sons and lives in South Somerset. 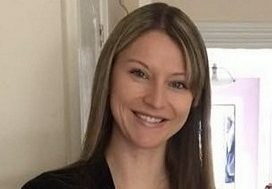 Amanda is the Director of ALP Accountancy Ltd, an accountancy firm based on the south coast. Following over 20 years working in the financial sector, the last 10 years being in strategic financial management positions within the motor industry, Amanda took on a new challenge as Founder and Director of ALP Accountancy Ltd. In 2017, Amanda was invited to join the Board of the ICFM and will provide specific focus and guidance for all financial management and development aspects as the Institute increases its market presence. 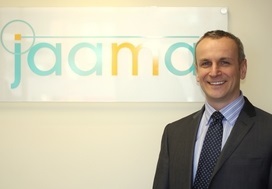 Martin Evans is Managing Director of the industry’s leading fleet management software innovator Jaama. Formed in 2004 and now employing in excess of 70 people, its multi-award winning, web based Key2 system manages in excess of 900,000 vehicles for its fleet, workshop, contract hire and daily rental customers. Evans is a well-known industry figure having spent nearly 30 years in the fleet and leasing sector. Prior to joining Jaama in 2005 as Sales Director, he was Customer Relations Director at cfc solutions and held various operational roles within Overdrive/FCM which was taken over by Arval in 1999. Commencing in 1990 Peter has enjoyed a successful career in the motor industry, largely representing financial & Insurance companies to embed risk management initiatives to end customers with a focus on cost control, safety and legislative compliance. Peter has experience of all fleet related trade sectors and has also been involved in a variety of key projects, including the introduction of vehicle telematics and driver behaviour techniques within the insurance risk sectors. Justin has over 25 years’ experience working within large fleet operations, often with specialist and complex fleets. Justin is Head of Operations for Addison Lee, Europe’s largest private transport business, operating over 5,000 vehicles. Previous roles include Head of Fleet for MITIE Group, for nine years, running one of the UK’s largest car and commercial fleets. Prior to this was a background in private and public sector fleet operations, including managing Police and Fire fleets along with specialist rental fleet. An ICFM Board member since 2016 and Member of the IMI since 1990, along with holding a Board position with an automotive apprentice training academy since 2003.